It’s surprising how your strength starts to come back when your back finally decides to cooperate. Helped by decent weather (but hindered by unfeasibly high pollen levels), I’ve upped my distances to over 30 miles (50km) in the last couple of weeks. And 50-odd kms is now comfortable enough that I’m chucking in some 15-20% gradient hills as well. I’m pretty chuffed with this; it’s a big jump from struggling to do 20 miles on the flat just three weeks ago. In fact, it’s not so very far away from the sort of level I was at before I began the trip last year. The Magic Shrug continues to work wonders. With my range increasing, I’m re-discovering more of the cycling I used to do as a kid. I’m pretty lucky around here, with a bunch of different riding options. 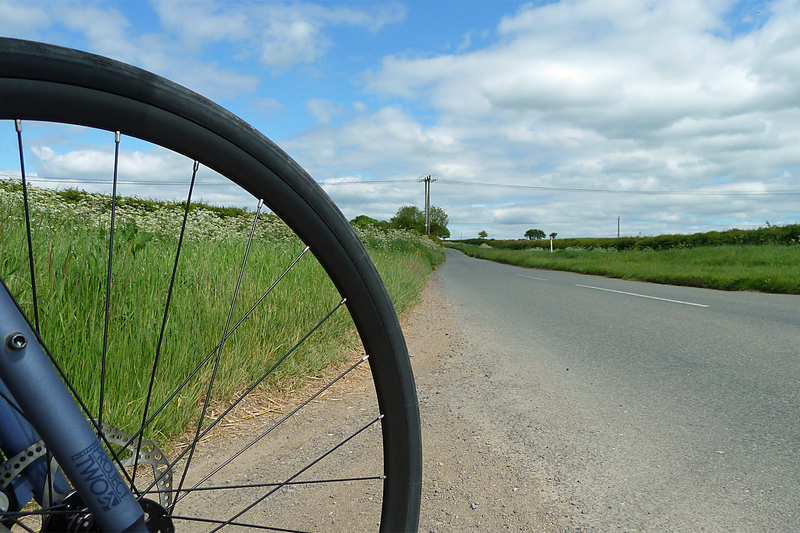 Flat rides, hilly rides, rivers, cities, all within fairly easy reach on a bike. You can even get to another country (well, Wales) within about an hour. Which means I can avoid boringly repetitive rides quite easily. But when I head south, it’s harder to avoid the Bristol to Bath railway path (picture above). 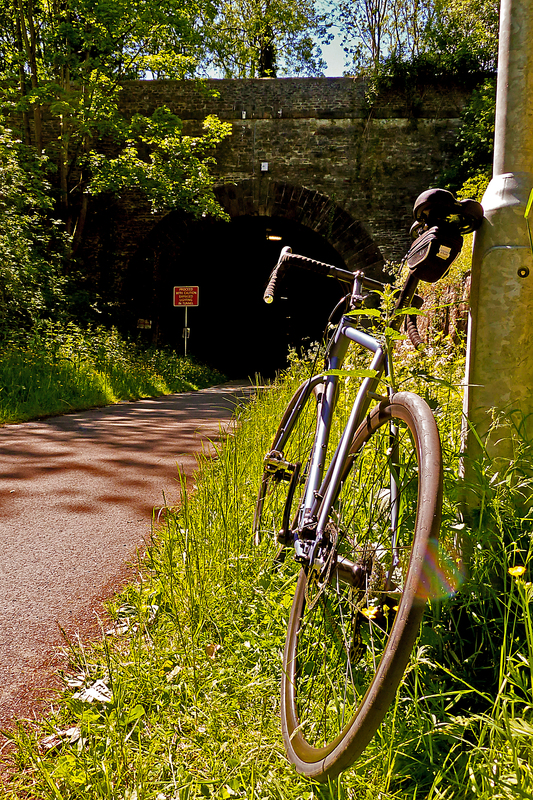 The path was built around the time that I was allowed out on a bike by myself, and was the first section of what eventually developed into the UK’s national cycle network. So it’s another big dose of cycling nostalgia for me. 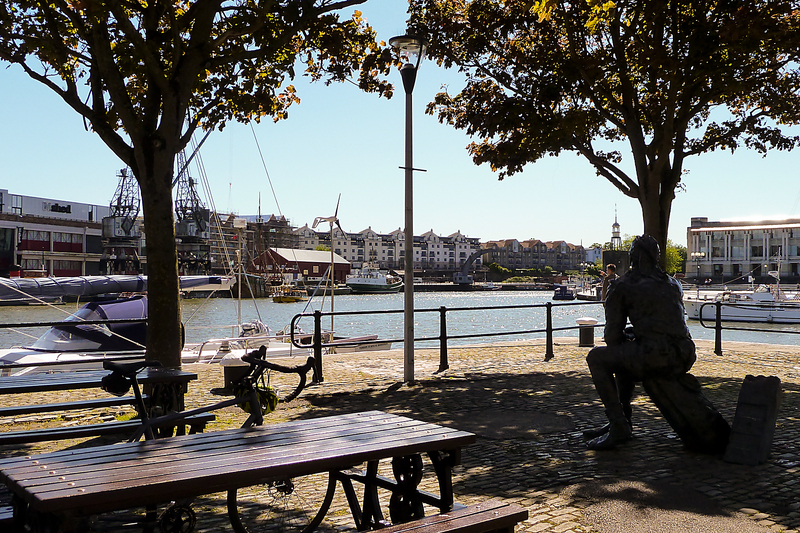 It’s also a well paved, traffic free, and fairly quiet route between the two city centres. Bristol is pictured above and Bath below. If you ignore (or, perhaps more appropriately, carefully avoid at a sensible speed) the odd wandering child, dog and mobility scooter, it’s quick, easy and flat riding, which is ideal for getting the miles in when you’re still not 100% fit. There’s loads of history and culture at both ends of the track. Bath‘s got world-famous Roman remains and hot baths, and some elegant Georgian architecture (it’s a World Heritage Site as a result). 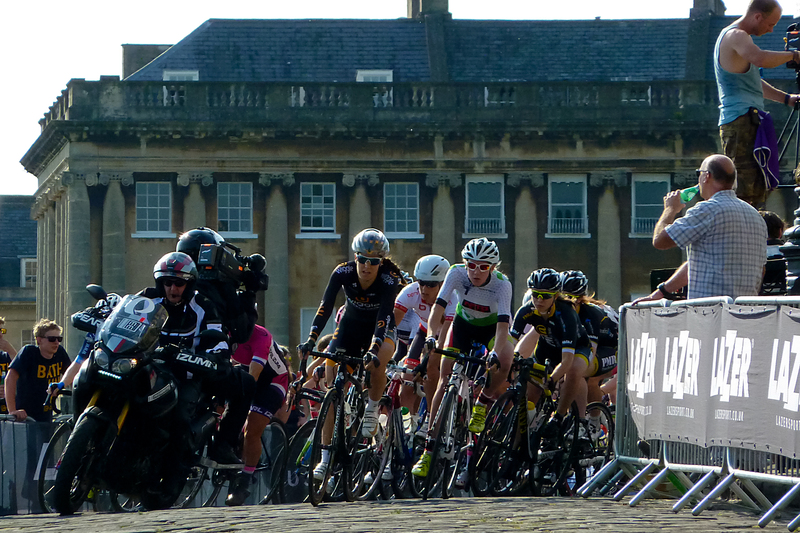 And I caught a bit of professional bike racing there last week, among the old Cotswold stone buildings and the cobbles. It’s a beautiful little city. 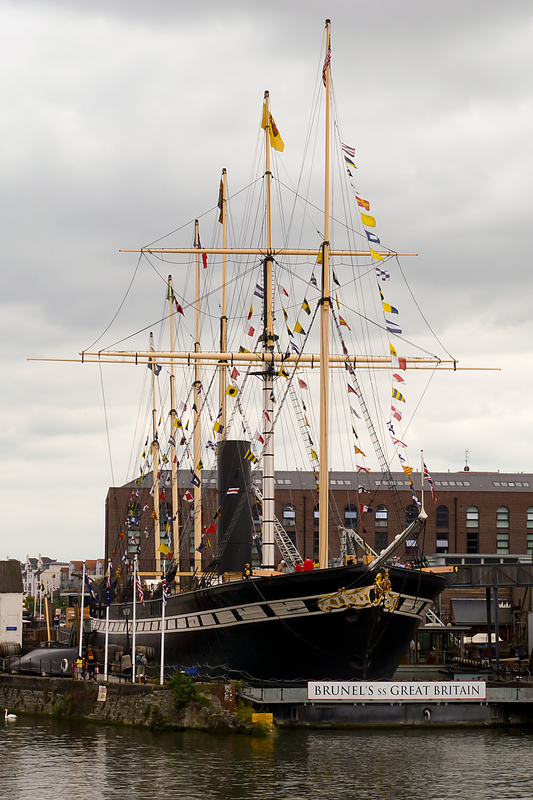 Bristol, meanwhile, is responsible for: English-speaking America (North America having been claimed by ships from Bristol in the late 1400s); Banksy; stacks of Brunel‘s best engineering work (like the SS Great Britain, above); Concorde; and, erm, Wallace and Gromit. Among many other things, of course. 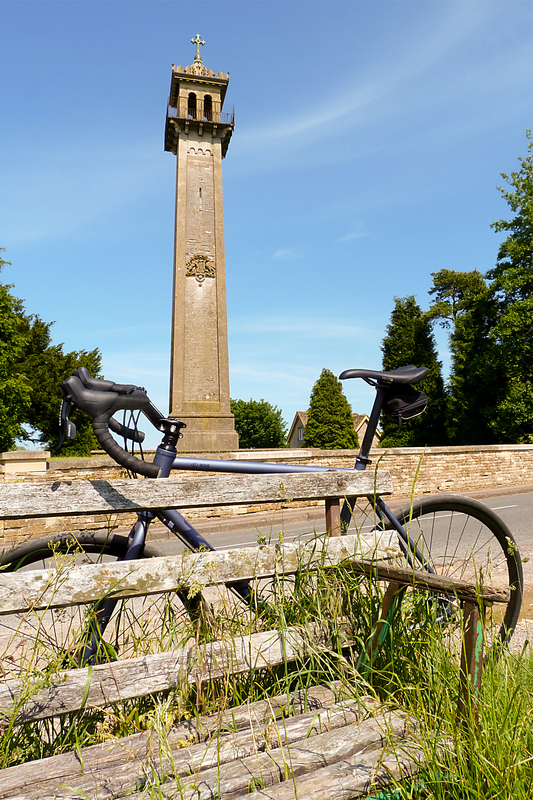 And if I don’t fancy the cities (let’s face it, getting into town on a nice vehicle-free route is all very well, but once you’re there, it’s back to diesel fumes, potholes and traffic lights), I head north-east, into country lanes and the Cotswold Hills. 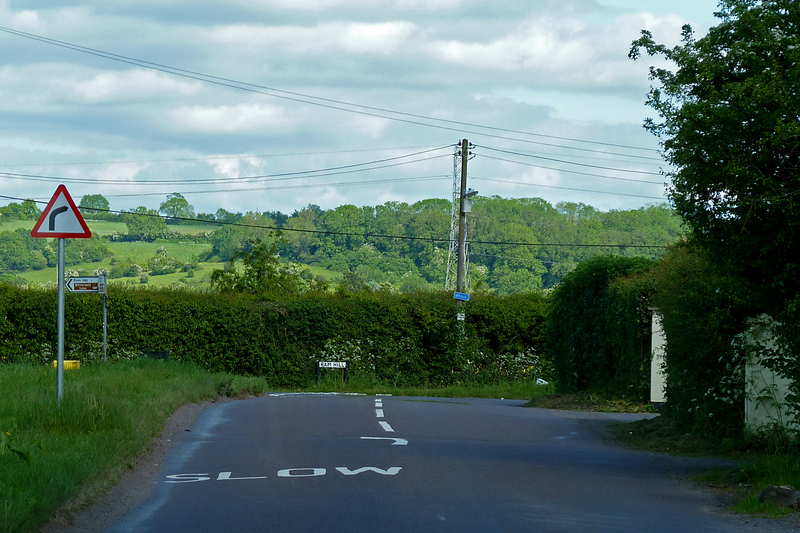 The western ridge of the Cotswolds runs for miles down the Severn valley, and is only a few miles from me. Being southern England, there’s not much in the way of really big hills here, but there’s a multitude of short, sharp climbs to choose from. Many of these lanes plunge straight down from the ancient highways and odd monuments along top of the escarpment to the villages at the foot. This is starting to sound a bit (maybe even a lot) like a tourism advert. So, let’s move on to the Extra ‘S’. You’ve probably noticed it already, haven’t you? No? Well, go back shamefacedly to the top of the page. Got it now? That’s right. The word ‘trundle’ at the end of the subtitle of the blog has gained an ‘s’. I guess you’ll understand the significance of that immediately. The Extra ‘S’ (along with a new pair of shiny hand-built touring wheels that arrived last week) means that I’ve finally committed to the inevitable. Despite my initial thoughts of abandoning the round-the-world ride after the accident, it was probably never going to happen. I can be a bit stubborn like that sometimes. The Extra ‘S’ means more than one big bike ride. In fact, it means a total of three. I will definitely go back to Thailand to complete the circumnavigation by riding back to London. I’m still a bit concerned about the amount of money I’ll have left on my return, but that’s just something I’ll have to sort out when I get back in 2016. Finishing what I started is more important. Round-the-world Part II is on. The monsoon season, and the fact that I’m not yet up to full speed physically, means there’s no point in going back to Asia until the northern winter. And that gives me the chance to squeeze in a bonus tour between the two halves of the round-the-world. And now, big ride 3. I’ve still not clicked back into taking the UK for granted, perhaps because I didn’t expect to be back here yet. And there are actually a bundle of places in this country which I’ve not seen (or, at least, haven’t seen by bike). So I’m going to take the opportunity to ride from the southernmost to the northernmost point of the UK (with a few ferries included, as I still – frustratingly – can’t ride on water). This is a bit longer than the classic Lands End to John O’Groat’s ride, which is ‘just’ the length of Great Britain. The UK stretches all the way from the Isles of Scilly in the south to the top of the Shetland Islands. And the ride will include all four countries that make up the UK; England, Wales, Northern Ireland and Scotland. It should be somewhere in the region of 1150 miles (1850km) in about four weeks, which will be a nice little warm up for returning to Asia. July and August will be for getting fitter, and riding sportives (probably three, the last of which should be my first ‘official’ 100 mile ride). Then I’ll convert the Beastlet for loaded touring. I’ll start the UK tour in late August or early September. Once I finish that, I’ll have a couple of months to maintain a degree of fitness and get the logistical bits and pieces together before heading back to Thailand. With a bit of luck, and no further interventions by heavy goods vehicles, I should be back in London next summer. There’s a stage when recovering from an accident hits a plateau. One week, you have nice, morale-boosting day-to-day improvements (more movement, less pain etc). The next, you’re frustrated with the apparent lack of progress on the problems that remain. In my case, the frustration’s been all about my back. While the most obvious visible damage – the collarbone and the shoulder-blade – has been improving nicely, my time on the bike has been severely limited by the slower-recovering cracked vertebrae. I got to the start of last week unable to push past about 15 mile (25km) rides. The riding itself is pretty much pain-free now, but having to stop to relieve the ache in my weakened back every twenty minutes is, erm, a pain. And after an hour or so, the weakness seemed to spread around the rest of my body, forcing me back to the sofa to recover. For a couple of days. Some might say that it’s unreasonable to expect to be back to full speed two months after damaging your spine in a serious road accident. That may be true, but it’s very, very irritating, to say the least. 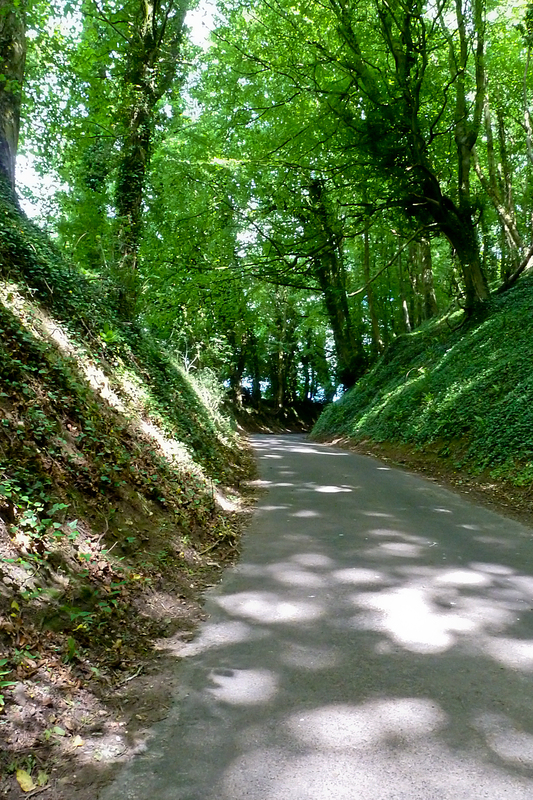 Still, I managed to get out and about for short loops, continuing my rediscovery of the local country lanes. And I was climbing better than I was while riding the same hills last year (before the trip). Clearly, cycle touring does get you fitter. And it takes a while to lose all the improvements while convalescing. Which is nice. Then there was a breakthrough. I was back at the physio last week. And it turns out that he’s a genius. He did his usual routine of a couple of minutes’ visual inspection of my shoulder. He nagged me (again) about my posture. I had a bit of a moan about my back. And so he taught me the Magic Shrug. I didn’t know it was magic at the time. But I performed it a few times, as instructed. The next night, I went to sleep on my front for the first time, as my back seemed more comfortable. I woke up late. I woke up without an ache for the first time. The magic was happening. Encouraged, I went on a nostalgia trip the next day. 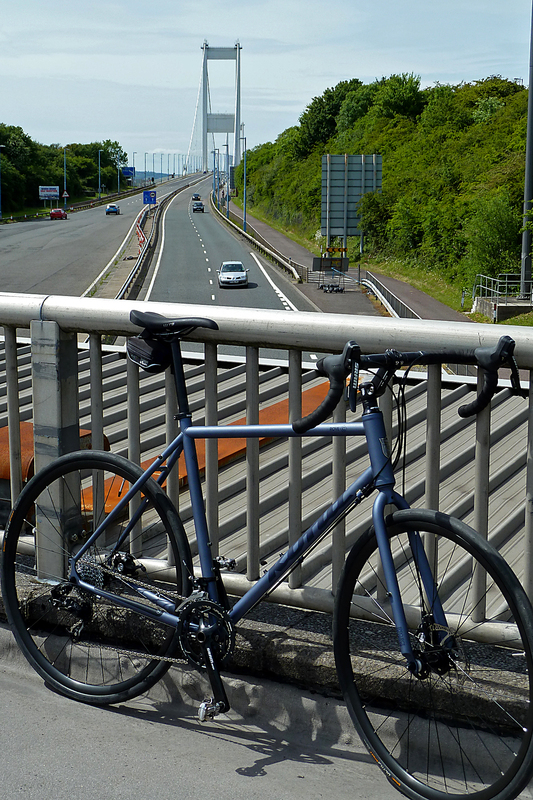 The run out to the old Severn Bridge and back was one I used to do a lot when I was a kid (after I realised that 20 miles on a bike is really not that far – even on a five-speed clunker, as it was in those days). It’s roughly ten miles each way. I made the return trip with no problems. I didn’t need to collapse into a comfy chair when I got back. And the next morning? I could have done it again. Except that the English early summer was doing its thing (driving rain and high winds). So, with the Shrug working its magic, I feel like I’m back on track. If 20 miles isn’t a problem, then why would 40 be? Or 85? With the Magic Shrug in my arsenal, what could possibly go wrong?